Wild Gardener seed mixtures: Healthy delight with natural herbs and edible wildflowers - fresh from the pot or window box! 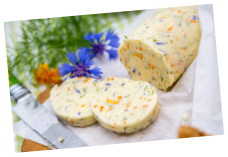 Discover wild herbs and wildflowers anew with Neudorff’s Wild Gardener range! 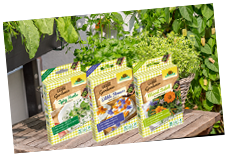 The new range features three extraordinary mixtures of seeds of herbs, aromatic plants and edible flowers which are ideal for sowing into pots or window boxes, but also in the garden. Hungry for more gardening tips? Learn a lot about natural gardening on our website!